5 Beds 4 Baths 1 Partial Bath 3,870 Sq. ft. Hear the ocean at night as you're only a block and a half away! And only half a mile to the finest dining & shopping in Ponte Vedra - also perfect biking distance to the Ponte Vedra Inn and Club or Lodge! Remodeled in 2013, creating wide open space concepts, enlarged kitchen with designer La Cornue gas stove, a Rohl Shaws farmhouse sink set in marble counters, designer faucets and hardware, stainless steel appliances, Subzero fridge, and huge breakfast area overlooking the lagoon. Upgraded limestone floors throughout entry, formal living, kitchen, dining and family rooms. Double-sided wood-burning fireplace for extra ambiance. Includes a courtyard patio and an additional side patio plus plenty of room for a pool! Newer windows, AC compressor & hot water heater. See more under supplement., Lots of assets at this location on over half an acre with irrigation system that draws right out of the lagoon, bulkhead, cul de sac street and circular driveway. No HOA fees! 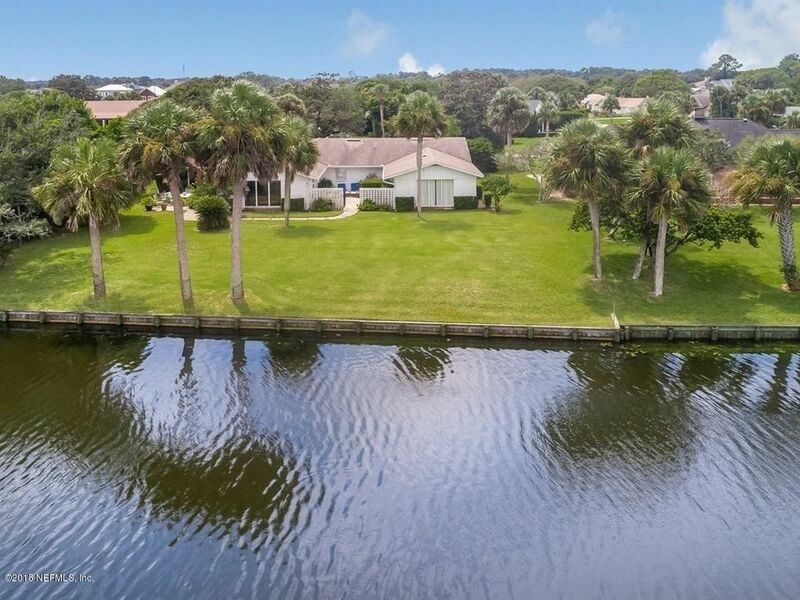 Don't miss out on this fabulous opportunity in sought-after ''old Ponte Vedra Beach." Directions: A1a To East On Solana Rd To Right On Le Master Dr, One Block To Right On Maria Place. Second House On Left.